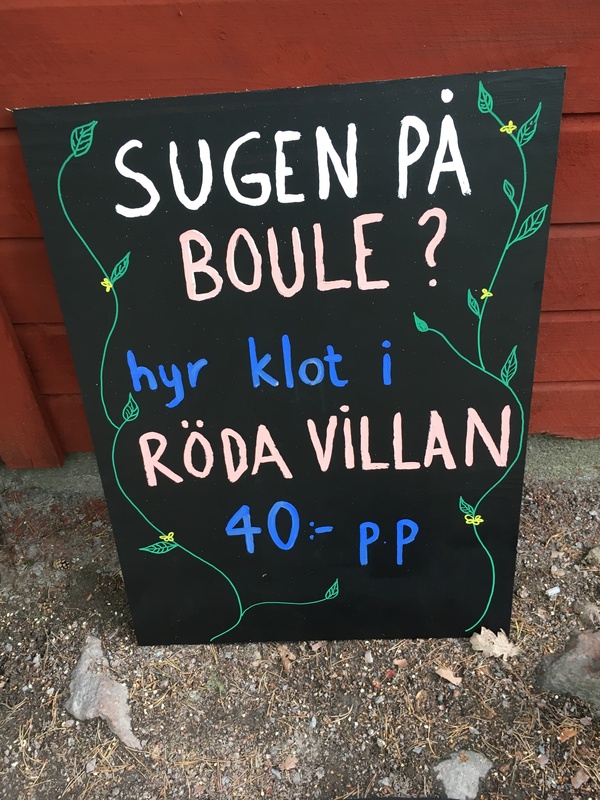 You rent the game balls in the bar and play on available court a short walk from Röda Villan. If you are a company of minimum 10 people, you can book a boule tournament with a guide, 1.5 hours. Our boule guide welcomes you and invite you to the world of Boule Pètanque. 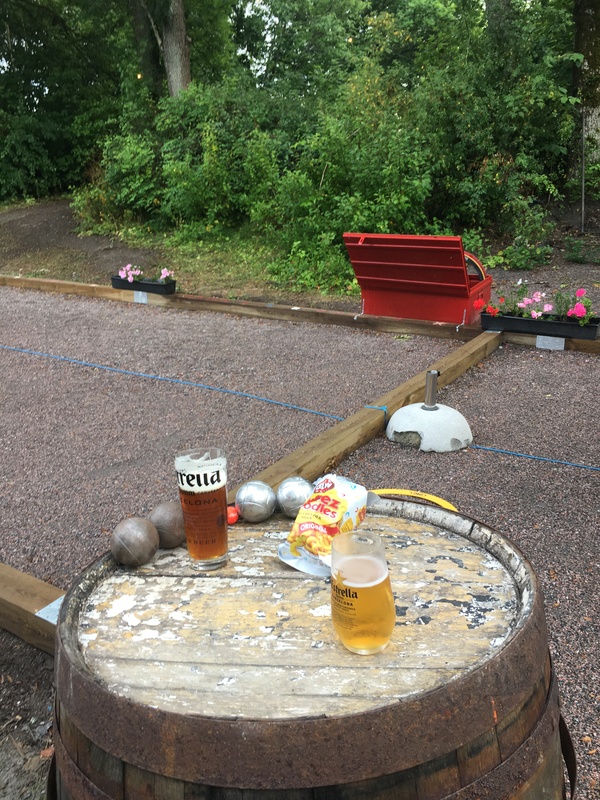 You will get the background to Boule Pètanque, learn rules and how to play. The winning team gets a medal. In May we are open 11-18, on request for larger groups we are open late info@rodavillan.nu.